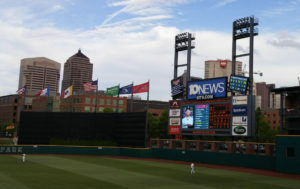 Keeping with an annual tradition that began almost two decades ago at the old Cooper Stadium, the entire office and their families enjoyed a beautiful June evening at Huntington Park to watch the Clippers take on the Toledo Mud Hens. This year, the block of seats was strategically chosen above the first base line, far enough from home plate to avoid possible hard hit foul balls (as conversations tend to be a distraction at times from watching the action) yet close enough to entice several future hall of famers to bring their gloves. One long time participant of the annual event noted that the prevalent concession food choice has evolved from the hot dog to chicken tenders. Maybe it was because this year’s game did not coincide with “dime a dog night.” That same observer also noted that the favorite adult beverage had stayed steady over the years. The great night of feasting and catching up with families and friends came to a bittersweet ending as the hometown favorites fell to the hot bats of the visitors.